Valmet will deliver a boiler plant that utilizes biomass to Nokianvirran Energia in Finland. 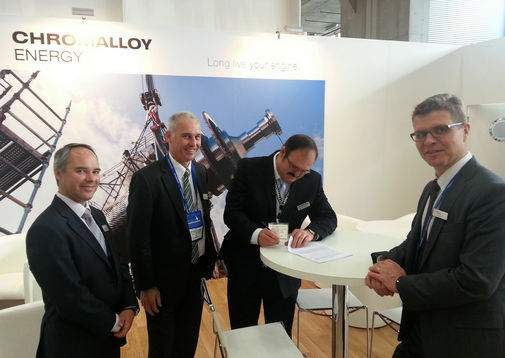 Valmet announced the signing of a letter of intent for the delivery on November 25, 2014. Valmet's delivery will include a HYBEX boiler with a steam power of 68 megawatts (MW) that employs the fluidized bed technology, flue gas purification equipment, and the plant's electrification and automation system. The boiler plant will be delivered for a new steam heat station to be built in Nokia. The total value of Nokianvirran Energia's investment is approximately EUR 45 million, of which the value of Valmet's delivery is slightly more than a half. The order is included in Valmet's first quarter 2015 orders received. The boiler plant will be constructed inside an existing boiler building, in the middle of the photo, from where an old coal-fired boiler, delivered by Tampella in 1963, will be demolished. The new heating station will produce process steam for the SCA Hygiene Products paper mill and the Nokian Renkaat factory, as well as district heat for Leppäkosken Lämpö's district heat customers. The fossil natural gas previously used for energy production will be replaced with more affordable biofuels, such as timber chips and whole tree chips. 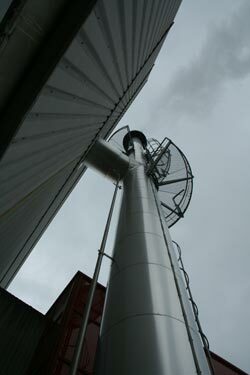 In addition, the boiler can utilize milled peat and sludge from the paper mill. Leppäkosken Lämpö distributes the district heat produced by the power plant to its customers through its network. "This investment will especially improve the price competitiveness of district heat compared with other heating methods," says Juha Koskinen, the managing director of Leppäkosken Lämpö. For SCA, which manufactures tissue, the investment will decrease the company's dependence on fossil natural gas. 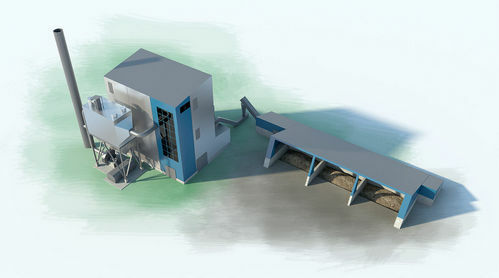 In addition the de-inking sludge derived from the tissue mill can also be used for energy production at the new power plant. For Nokian Renkaat, the power plant will bring cost benefits, and additionally reduces the greenhouse gas emissions of the production process. Nokianvirran Energia Oy's current plant consists of two gas-fired boilers with a steam power of 57 and 110 MW. The new 68 MW plant to be constructed will be integrated with the existing power plant. As gas is replaced by biofuels, carbon dioxide emissions in the area will decrease by 60,000-80,000 tons per year. Valmet has delivered several fluidized bed boilers of nearly the same capacity to district heating plants and industrial facilities. "Stricter emission standards and the need for using affordable bio and recycled fuels that are more demanding in terms of corrosion, present new challenges for the boiler design. The design work for Nokianvirran Energia's new boiler has mostly been completed, and the manufacturing has been started at Valmet's Lapua workshop. According to the project schedule, steam production will begin in the spring of 2016," says Jari Niemelä, Sales Director, EMEA, Valmet. Nokianvirran Energia Oy is a joint venture of Oy SCA Hygiene Products Ab, Nokian Renkaat Oy and Leppäkosken Sähkö Oy which is constructing a steam heat station in Nokia to be integrated with the exiting power plant. Once completed, the plant will produce process steam and district heat to its owners and improve the competitiveness of the shareholders' business operations, ensuring more stable energy prices in the long term. Metso's turnkey delivery will include process equipment, buildings and installation work. The plant will have a heat output of 10 megawatts and will produce hot water for the district heating network of Turenki. The plant will be fired by locally sourced wood-based biomass, such as forest residue and optional also peat. "The new biomass-fired heating plant is in line with our strategy to increase the share of renewable fuels in our district heat production. The plant will significantly lower the volume of CO2 emissions in our heat generation, which further minimizes the environmental footprint of district heat. Using domestic, locally sourced fuels also boosts employment in the region. We additionally want to actively meet the expectations of our customers and other stakeholders to promote sustainable development," says Elenia Lämpö's CEO Matti Tynjälä. "Elenia Lämpö's investment in the heating plant is an excellent example of a project that increases the utilization of local Finnish fuels in an energy-efficient and environmentally friendly manner. The Turenki site highlights the need for a flexible and highly adjustable plant solution that is able to effectively respond to heating needs throughout the year. The advanced BioGrate combustion technology enables a wide selection of fuels, low internal consumption and highly flexible adjustability," says Teemu Koskela, who is in charge of bioheat plant sales at Metso. Qatar Shell awarded a service contract to Metso supporting an earlier delivery of valves and intelligent positioners to the Pearl Gas to Liquids (GTL) Project in Ras Laffan Industrial City. Jointly developed by Qatar Petroleum and Shell, Pearl GTL is the largest GTL plant in the world and the largest energy project in the state of Qatar. As part of the capital project, Metso delivered more than two and a half thousand valves and twelve hundred ND9000 positioners. As the plant is designed to run 24/7, Shell is taking the advantage of streamlining the spare part procurement process to ensure competitive pricing and speedy order delivery. The five-year Spare Parts Agreement with Metso covers more than a thousand items. According to Sami Alatalo, Metso Service Manager in Doha, "The agreement provides Shell and their service contractor with a firm basis to plan valve service actions with delivery times and agreed prices. A complete list of tag numbers maintained in the Metso Doha office further ensures that the correct parts will be available when and where needed on a day to day basis as well as during the infrequent major shuts." Pearl GTL is a world-scale project located in Ras Laffan Industrial City, 80 km north of Doha, Qatar. Pearl GTL is the world's largest source of gas-to-liquids (GTL) products, with a design capacity of 140,000 barrels of GTL products and 120,000 barrels natural gas liquids and ethane per day. Metso has been awarded its 6th and 7th repeat orders from the CNIM group for the automation of two greenfield Waste to Energy plants in the UK, one in Ardley (North Oxfordshire) and the other one in Cardiff. Metso will supply an extensive Metso DNA distributed control system and safety system to both new plants. These orders come after five similar ones from CNIM for WtE plants in Turin (Italy), Tallin (Estonia), North Hykeham (Lincolnshire, UK), Four Ashes (Stafford, UK) and Great Blakenham (Suffolk, UK). Metso DNA provides one system for all process controls and plant information management. 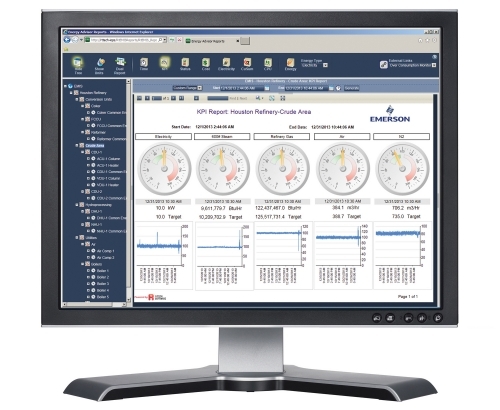 The integrated process automation system covers all plant processes from boilers to turbines. High-level reliability is ensured through an integrated, TUV certified safety solution. Metso’s automation solutions play a significant role in managing waste-to-energy plants successfully and help them reaching their goals of maximizing incineration capacity, keeping combustion and steam production stable while allowing high availability of the production processes. The new Ardley waste-to-energy plant is owned by the Oxfordshire County Council, and the new Cardiff one is owned by the Cardiff City Council. Both plants will be operated by Viridor, one of the UK’s leading recycling, renewable energy and waste management companies. The Ardley plant will have an electric output of 24 MW and is designed to handle an annual amount of 300 000 tons of residual waste. The plant is planned to go on line by the end of 2014.The Cardiff plant will be able to treat up to 350 000 tonnes a year of residual waste, generating 30MW of electricity enough to power 50 000 homes. The plant is planned to go on line at the beginning of 2015. The CNIM group acts as a contractor in both projects. Established in 15 countries, the CNIM Groupdesigns and produces turnkey industrial solutions and offers expert research, expertise and operations services in the fields of environment, energy, defense and industry. The group has more than 2770 employees, and received orders worth 778 million euros in 2012. Hitachi Zosen Inova has chosen Metso to deliver advanced automation technology to the Ferrybridge Multifuels Energy Ltd’s waste-to-energy plant in Knottingley, West Yorkshire, UK, for which it will be the main supplier. The 68 MW plant, featuring the largest grate ever built by Hitachi Zosen Inova, will be able to reach high process availability with Metso’s solutions. Metso was chosen as the DCS supplier for the project because of its good track record with six earlier projects for Hitachi Zosen Inova. These include waste-to-energy plants in Zisterdorf, Austria; Bergen, Norway; Riverside and Newhaven, UK; Vaasa, Finland; and STV 4&5, UK. The delivery to Ferrybridge will be the seventh in total and the fourth in the UK. 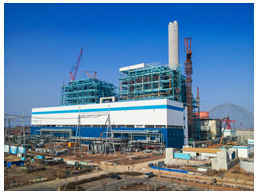 The Ferrybridge greenfield plant will be located at the SSE Ferrybridge C Power Station, which will be closed in 2015. It will run on SFR/RDF (Refuse Derived Fuel) and process 31.3 tons of waste per hour on each of its two lines. The plant is scheduled to be fully operational by summer 2015 and generate electricity for Scottish and Southern Energy Ltd.
Metso’s delivery scope to the plant will consist of a Metso DNA distributed control system, an integrated safety system and an information activity server. The control system includes four operator stations, six redundant process stations, about 6,000 hardwired I/O and Profibus signals and 2,300 datapoints via gateways. An engineering station and an information management station are also included. There is a Profibus DP connection to the black boxes and remote access for maintenance work. Ferrybridge Multifuels Energy Ltd. is a subsidiary of Multifuels Energy Ltd., which is part of Scottish and Southern Energy (SSE Ltd.), a UK Power Generation Company, and Wheelabrator (WTI), a US Waste Management Company. Zurich-based Hitachi Zosen Inova (HZI) is a global leader in energy from waste. HZI acts as an engineering, procurement and construction (EPC) contractor delivering complete turnkey plants and system solutions for energy recovery from waste. HZI’s innovative and reliable waste and flue gas treatment solutions have been part of some 500 reference projects delivered since 1933. Vantaan Energia has chosen Metso to rebuild the gas turbine control system at its Martinlaakso power plant in Vantaa, Finland. The rebuilt automation will increase turbine reliability and availability. New automation will replace the existing turbine control system that has reached the end of its life cycle. The delivery scope also includes overspeed and vibration protection for the turbine, changes to turbine hydraulics, field engineering, installation, factory assembly testing and operator training. A gas turbine simulation model will test the control application and also be used for training. The turbine controller will be integrated with the Metso DNA automation system, which now controls all three Martinlaakso power plant units. Thanks to existing connections, the solution is easy and cost efficient for the customer. The rebuilt control system will begin operation in November 2013. Vantaan Energia and Metso have cooperated closely on many projects since the 1980s. Once this project is completed, Metso will have modernized all of Martinlaakso turbines – one gas turbine and two steam turbines. Metso has supplied turbine controls to many modernized gas turbines. For example, users in Finland include Helsingin Energia’s Kellosaari power plant, Lahti Energy’s Kymijärvi power plant, Lappeenrannan Lämpövoima’s Mertaniemi power plant and Fingrid’s Tahkoluoto power plant. Metso offers a total concept for steam, gas and hydro turbine controllers, including machine monitoring, information management and the possibility to integrate them into a mill-wide distributed control system. Having the engineering tools in the control system creates a deeper view into the process. The concept includes many powerful benefits, one of which is the possibility to perform an online IO exchange on a running control system and machine without jeopardizing the operation of the unit. This saves on downtime costs and lost production while boosting revenues. Other advantages include the remote access by Metso specialists for online analysis and support. Metso supports its control systems for at least 25 years and provides them with new software that communicates with the existing system without any need to redesign or re-engineer. Vantaan Energia Oy is one of Finland’s largest urban energy companies. It is owned by the cities of Vantaa (60%) and Helsinki (40%). 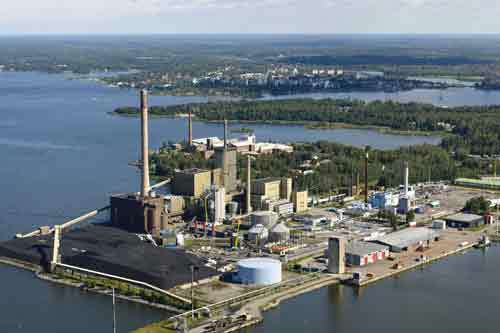 The Martinlaakso power plant produces about two-thirds of Vantaa Energia’s electricity output and most of its district heat. The total electrical capacity of the plant is about 195 MW and thermal capacity is 330 MW. For the second time in a row, Metso's innovative technology has played a major role in winning the Climate Action of the Year Award in Finland. This year, the Sustainability Forum of the Finnish Energy Industries granted the accolade to the project called "The Energy Turnaround in Vaasa", a city of 65,000 inhabitants on the west coast of Finland. The project features cooperation between three local energy companies: Vaasan Sähkö, Vaskiluodon Voima and Westenergy. Metso supplied technology to the two latter companies' plants. Through their cooperation, the three companies have been able to significantly decrease CO2, methane and particulate emissions by a total of 525,000 tons per year, resulting in better local air quality. The amount equals the annual CO2 emissions of about 175,000 cars. Other benefits of the project include the utilization of non-recyclable waste as well as the positive investment impact on the local economy. Vaskiluodon Voima runs the world's largest biomass gasification plant, which was supplied by Metso. The 140 MW plant is groundbreaking in many ways, as this is the first time in the world that biomass gasification is being adopted on such a large scale to replace fossil fuels. 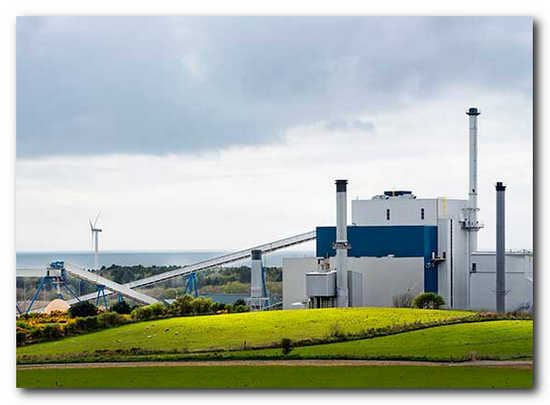 Nearly half of the coal used can be replaced with gasified biomass, making the plant highly environmentally friendly. "We now use three to six kilos less coal per second in our production than earlier. This means having one coal shipment less per month," points out Matti Loukonen, Power Plant Manager of Vaskiluodon Voima. Metso's delivery to the plant included fuel handling, a large-scale dryer and a circulating fluidized bed gasifier, modification work on the existing coal boiler and a Metso DNA automation system. "Vaskiluodon Voima made a coal-fired plant go green, and for this reason will set an example for others to follow in the future," says Jyrki Holmala, President of Metso's Power business line. Metso's other customer involved in "The Energy Turnaround in Vaasa", Westenergy, recently started up a new energy-from-waste plant that runs on source-separated waste and has a capacity of 15 MW of electricity and 40 MW of district heat. The plant is controlled with a Metso DNA distributed control system and an information management system. Modern automation plays a major role in managing the plant successfully. Plant operators will be able to maximize the incineration capacity, keep combustion and steam production stable, as well as maintain high process availability. Extensive, employee-empowering automation will ensure that waste burns safely and emissions stay low. "Overall, the project was a big success for both Westenergy and for the contractors involved in the project," comments Jan Teir who was Managing Director of Westenergy during the project. "Concerning the involvement of Metso, I am also pleased since we got the control system we wanted. In addition, Metso also supplied one of the best crushers in the world that will be used to crush large items, for instance furniture, in the bunker of our plant." Climate Action of the Year is an acknowledgement awarded annually by the Finnish Energy Industries to an energy-industry company or organization that has carried out investments or development projects to abate climate change or has, through other actions, contributed to combating climate change. Last year, the award was granted to Lahti Energy's waste gasification plant, which has extensively incorporated Metso's technology. Vaskiluodon Voima Oy is owned equally by the energy companies EPV Energia Oy and Pohjolan Voima Oy. The company's power plants, located in Vaasa and Seinäjoki, produce electricity and district heating. Westenergy Oy Ab is owned by five municipal waste management companies, which operate in an area consisting of more than fifty municipalities with altogether more than 400,000 inhabitants. Together with investment fund Eurofideme 2, Holmen (STO:HOLMA)(STO:HOLMB) has decided to build a wind farm in the municipality of Norrtälje in a jointly-owned company. 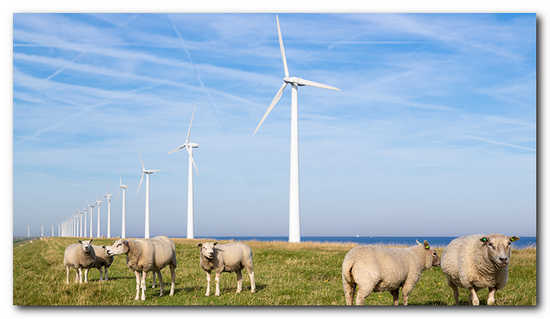 The annual production is an estimated 165 GWh and the wind farm is planned to commence operation in autumn 2014. Eurofideme 2, a renewable energy infrastructure fund of Mirova*, has acquired half the shares in the company that Holmen founded to run wind power production on its own land in the municipality of Norrtälje near Hallsta Paper Mill. The decision now marks the start of installation of 17 wind turbines with an installed power capacity of a total 51 MW and an expected annual production of 165 GWh. An environmental permit has already been obtained. According to the plan, the turbines will be taken into operation in autumn 2014. “It is a great opportunity for Eurofideme 2 to be co-investing in this project of national interest for wind in the Stockholm County with a high quality partner like Holmen” commented Raphael Lance, Director of Eurofideme 2. The cost of constructing the wind farm is an estimated SEK 650 million and will be financed by a bank loan to the jointly-owned company plus capital from shareholders Holmen and Eurofideme 2. Holmen’s investment will largely be met by income from the sale of shares in the company, and the transaction will therefore not have any noticeable effect on Holmen’s cash flow. The transaction will affect Holmen Energi’s operating profit in the second quarter by approximately SEK 100 million. * Eurofideme 2, a fund managed by Mirova Environment and Infrastructure and part of Mirova, the Responsible Investment division of Natixis Asset Management, is investing through its wholly-owned subsidiary Wotan SA. This is information that Holmen AB is obliged to disclose under the Swedish Securities Market Act and the Swedish Financial Instruments Trading Act. Submitted for publication on 17 May at 15.30. Metso will modernize the automation and field instrumentation at Helsingin Energia’s Salmisaari A and B power plants in Helsinki, Finland. The investment will ensure high availability and safety at the plants long into the future. In choosing the supplier, the company emphasized overall best value for money and fulfillment of tight technical requirements. New automation will replace the existing automation system from 1984 at Plant B, which produces electricity and district heat, and the system from 1986 at Plant A, which produces district heat. In the future, the plants’ main fuel of coal will be replaced with pellets that will account for a 5 – 10% share at first. “By utilizing modern control methods, it is possible to reach better process control,” says Heikki Mylläri, Sales Director, Automation, Metso. Metso’s extensive turnkey delivery will consist of two Metso DNA automation systems, field instrumentation, a safety interlocking system, replacement of programmable logic controls, field engineering, an emissions reporting tool to meet present directives, installation, testing and commissioning. Modernization at Plant B is scheduled to start in May 2014 with startup in September 2014. Plant A will be modernized in 2015. The order is included in Automation’s first quarter 2013 orders received. Metso has earlier delivered automation to Helsinki Energia’s Kellosaari backup power plant, Salmisaari coal storage inside a cliff and water treatment, which all will now be integrated into the new automation. The entity will utilize the reporting system earlier supplied by Metso. In the future, all power plants and processes will be operated from the same control room with uniform user interfaces. As one of the largest energy companies in Finland, Helsingin Energia supplies electric energy to about 400,000 customers in Finland and covers more than 90% of the heat demand in the capital city with district heat. This unique magazine was created over two years ago ( December 2010) to promote the specific benefits of carbon neutral renewable energy from forest biomass, including high energy briquettes and pellets made from wood. It also provides a shop window for new equipment for the efficient harvesting and conversion of wood into energy. industry, Forest Bioenergy Review has planned a series of technical, economic and environmental articles of importance to its readers during 2013 and is carrying out a series of interviews with industry leaders influencing the future direction and growth of forest bioenergy in Europe. Advertising in its pages is a cost-effective way of reaching new customers for the latest machinery and techniques now being developed to harness the power of the forest. Since launching the magazine there have been those that have tried to broaden existing publications to cover this very specific industry segment and have failed. Since December 2010 our global circulation specific to FBR has risen to over 8,000 individuals around the world who have specifically requested receipt, this number rises to a little over 10,700 when you include the paper, tissue, board and packaging mill owners from its sister publication Pulp, Paper & Logistics. As with all publications, growth is essential and we are proud to announce the official launch of www.forestbioenergyreview.com . This development has come about through a mutual co-operation with www.pulp-paperworld.com and integrating their Energy related registered users into the new website, this co-operation takes the total potential audience for your news, editorial submissions and marketing message to a little over 18,300 when using both products. International technology Group ANDRITZ presents a new generation of weir plates, providing a significant reduction in power consumption for centrifuges. The patented TurboJet weir plate, available for all ANDRITZ decanters and those of other suppliers, helps customers to reduce their energy consumption by 10-30%. This innovative product was developed in the ANDRITZ SEPARATION Center of Competence in Châteauroux, France, and passed extensive testing on various customers’ sites, e.g. for waste water treatment, bioethanol production, calcium carbonate separation, as well as in the food and chemical industries. The TurboJet weir plate guides the liquid discharge from the centrifuge in the opposite direction to the bowl rotation. Adjustable nozzles form a jet that creates a reaction force in the same way as a jet engine’s exhaust and recovers the kinetic energy from the liquid. This extra force enhances bowl rotation and thereby reduces main drive power consumption without affecting actual separation performance. Power savings vary depending on feed flow, pond depth, and bowl speed. Advanced automation systems will contribute to more efficient and less polluting electricity generation in two large units that feature ultra supercritical technology and thereby support economic growth in Eastern China in an environmentally responsible way. Jiangsu Huadian Jurong Power Co. Ltd. has chosen Metso’s automation systems for its two greenfield 1000 MW power plant units located in Xiashu Town, Jurong City, Jiangsu Province, China. Scheduled to start up in the coming summer, the units are the first 1,000 MW units with ultra supercritical technology to be built by Jiangsu Huadian Jurong Power. Ultra supercritical technologies can boost the efficiency of coal-based electricity generation by approximately 50% and produce less emissions compared with traditional subcritical coal-fired power plants. China has become a hotbed of ultra supercritical construction as the country seeks to satisfy its growing power requirements. By investing in these large units with ultra-supercritical technologies, Jiangsu Huadian Jurong Power is supporting economic growth in Eastern China in an environmentally responsible way. Both power plant units will be controlled with Metso’s automation systems from one central control room. The systems will monitor, control and optimize the performance of the units along with the common services at the plant site. The DCS is designed for both functional and physical distribution. The main function includes, for example, automatic startup and shutdown, performance monitoring and data links to other balance-of-plant systems. The turbine control system, boiler feedwater pump turbine control system and flue gas desulphurization system will also use Metso’s DNA hardware and software, and will be integrated into the distributed control system, although they are supplied by other vendors. In both main plant control systems, there are 33 pairs of digital processing units and approximately 14,000 hardwired I/Os. In addition, redundant gateways will transfer information from various systems or subsystems into the unit control systems. The common system is geographically distributed in the circulating water pump house, demineralization water pump house and auxiliary power equipment room, and controlled and interlocked through unit DCS operator stations. Jiangsu Huadian Jurong Power Co., Ltd. is a joint venture between China Huadian Corporation and Jiangsu Electric Power Development Co., Ltd. The company was founded in 2008. More than 400 people have helped build the $250 million biomass power plant that now towers over Business Highway 51 and the Wisconsin River, and their months of hard work have the project on schedule to begin generating power late this year. When the facility opens, a parade of 50 to 75 semitrucks every weekday will keep the plant’s boilers stoked with treetops and branches that will create steam and electricity. 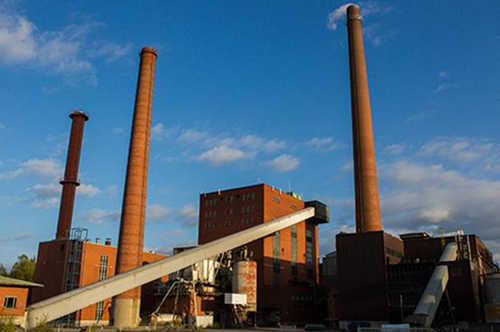 In addition to producing clean energy, the new site will improve air quality by reducing overall emissions from the Domtar paper mill by about 30 percent, according to a Domtar and We Energies informational handout. That parade of trucks loaded down with 300,000 to 500,000 tons of wood debris referred to as biomass will come from forests within a 75-mile radius and will employ dozens more people, including Jeff Plunkett, fiber procurement manager for Domtar. Plunkett is in charge of buying wood materials for the paper mill and new biomass facility. He said he has a growing list of local contractors lined up to provide the wood waste, though he declined to name any. In November 2008, the company began talks with We Energies to develop an alternative energy source, and the partnership was announced in September 2009 for a new biomass plant to be built at the Domtar Rothschild site. Since its introduction, the project has divided village residents and faced opposition because of its hefty price tag. Construction began in August 2011. Rick Graap, owner of Graap Logging in Merrill, has supported the biomass facility since it was first proposed. 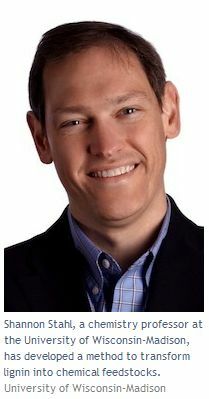 He hopes to have a contract later this year as one of the biomass material providers for the new facility, and already has about 25,000 tons of tree tops and branches stored in north central Wisconsin. Graap said he plans to hire about two to three new employees to drive trucks, should he contract with Domtar and We Engergies. He will also hire two other employees to operate in the woods. Once the facility is in full operation, the plant will employ about 30 full-time workers. About 60 percent of the steam will drive a turbine to create electricity for We Energies, a Milwaukee-based energy company. 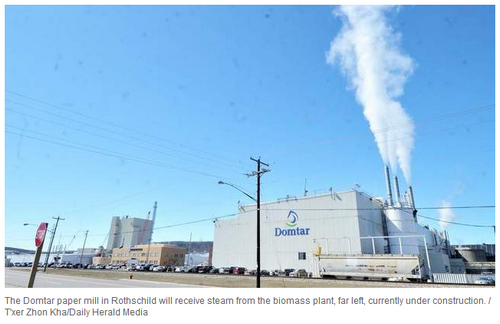 The remaining steam will be used inside Domtar’s Rothschild mill, which employs 400 people. 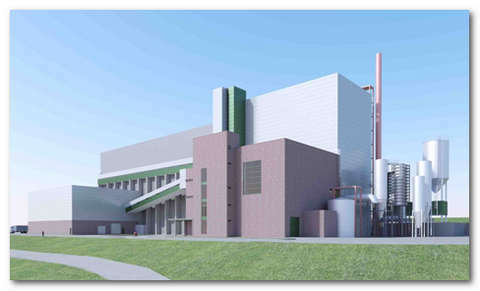 While Domtar will continue to buy electricity from Wisconsin Public Service Corp., the new 50-megawatt biomass facility will supply 100 percent of the mill’s steam, used to create the high-pressure, high-temperature environment necessary to convert wood chips to pulp and to dry paper after it is made, said Craig Timm, a Domtar spokesman. Before the plant opens late this year, many parts need to be prepped and tested, including the biomass boiler, the fuel-handling system and steam blows. Testing the biomass boiler ensures boiler pipes are welded properly and can withstand required pressure. The steam blows push steam through pipes to clear dirt and debris that accumulate during construction, and the fuel-handling system includes conveyor systems and the truck unloader. Katrinefors Kraftvärme AB (KKAB), a 50/50 joint venture owned by Metsä Tissue, part of Metsä Group, and the local municipal energy company VänerEnergi AB, will build a new biomass combined heat and power (CHP) plant in Mariestad, Sweden, in conjunction with the Metsä Tissue mill. This will be the second bioenergy plant operated by KKAB. The construction of the new plant will start in April 2013. The plant is expected to be operating by the end of 2014. The total investment will amount to approximately 30 million euros of which Metsä Tissue’s share will be 50 per cent. According to Mark Watkins, SVP Tissue Scandinavia, KKAB’s new bioenergy plant is an important step in increasing the share of bioenergy. In Metsä Group, the share of wood-based bioenergy is high, as over 80 per cent of all the used fuel is biomass. Increasing the share of bioenergy is one of the key activities in Metsä Group’s efforts to mitigate climate change and reduce fossil CO2 emissions. Metsä Group’s target is to reduce fossil-based CO2 emissions by 30 per cent per product tonne by 2020 from the 2009 level. 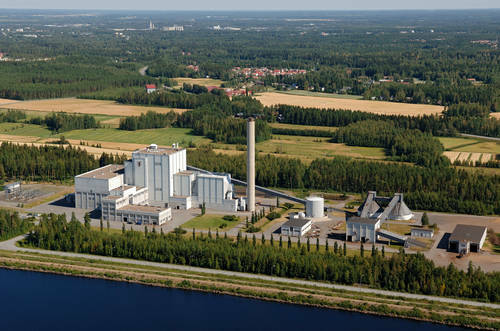 The new bioenergy production reduces significantly, even as much as 90 per cent, Metsä Tissue Mariestad mill’s oil usage. The new power plant will decrease Mariestad mill’s CO2 emissions by approximately 6,000 tonnes, i.e. by 30 per cent from the present. Currently oil is used to cover wintertime peak in heat demand and as reserve fuel. The new biomass CHP plant will be composed of an approximately 28 MW biomass boiler to produce heat and approximately 7 MW turbine to produce electricity. The biomass fuels consist of energy wood and the mill’s recycled fibre residues. In addition to producing electricity and heat to Mariestad mill, the plant will provide renewable energy for the surrounding community in the form of district heating and bio-based grid electricity. Optomec announced today that the Company’s Intellectual Property (IP) portfolio in the field of Additive Manufacturing grew to 35 patents with the addition of six new patents granted in 2012. These new patents cover inventions for the Company’s Aerosol Jet technology used for Printed Electronics. Optomec also announced it has received notices of allowance for additional patents which are expected to be granted in 2013. The newly granted patents included three in the United States and three in Asia. 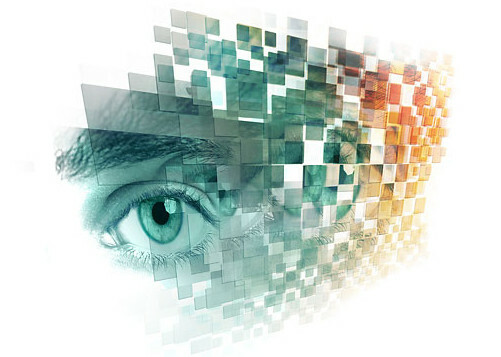 Of particular note, Optomec received protection for its technologies that enable printing of high conductivity circuitry onto temperature sensitive plastic (low cost) substrates using laser curing techniques. Additionally, the company received patents in the area of printed passive structures (i.e. : resistors, antenna, etc); tilting of the head to enable printing on 3D surfaces; and high resolution printing for fine feature electronics. Finally, Optomec received several patents protecting hardware enhancements that enable high throughput printing for high volume manufacturing applications. These include multiplexing strategies for key elements of the Aerosol Jet system, including the atomizer that serves as the input mechanism, and the focusing head that defines printed output. Alfa Laval – a world leader in heat transfer, centrifugal separation and fluid handling – has won an order to supply plate heat exchangers for cooling applications in Canada. The order, booked in the Energy and Environment segment late March, has a value of approximately SEK 60 million and delivery is scheduled to start in 2013 and be finalized in 2014. The Alfa Laval heat exchangers will be used to recover energy and cool process water in an oil processing facility in Canada. The project, which is a capacity expansion, duplicates an existing facility, for which Alfa Laval also supplied all the plate heat exchangers. “This order confirms our strong position in the oil and gas industry. It also proves the quality and reliability of our plate heat exchangers, as the customer once again chooses our equipment”, says Lars Renström, President and CEO of the Alfa Laval Group. Did you know that… Alfa Laval has been present in Canada since 1899? Carbon dioxide is a major cause of global warming, but it's also fundamental to life on Earth. As any good toxicologist knows, "the dose makes the poison." And thanks to new research at the University of Georgia, we might soon have an antidote for too much CO2: a manmade version of the microbe Pyrococcus furiosus, or "rushing fireball," that absorbs CO2 and converts it into fuel. If P. furiosus can work on a large enough scale, it might even help displace carbon-positive fossil fuels like coal and oil. "Basically, what we have done is create a microorganism that does with carbon dioxide exactly what plants do — absorb it and generate something useful," says Michael Adams, a member of UGA's Bioenergy Systems Research Institute and co-author of a new study detailing the magic of P. furiosus. "What this discovery means is that we can remove plants as the middleman. We can take carbon dioxide directly from the atmosphere and turn it into useful products like fuels and chemicals without having to go through the inefficient process of growing plants and extracting sugars from biomass." In photosynthesis, plants use sunlight to turn water and CO2 into energy-packed sugars, forming the base of Earth's food web. These sugars can also be fermented into biofuels like ethanol, but as Adams points out, removing them from a plant's cells is relatively inefficient due to the energy input required. P. furiosus, however, may offer a shortcut. The microbe is a deep-sea "extremophile," thriving in violent conditions that would obliterate most organisms. It feeds on carbohydrates in super-heated seawater around hydrothermal vents, but by tweaking its genetic material, Adams and his colleagues created a new kind of P. furiosus that likes cooler temperatures and eats CO2. The researchers then used hydrogen gas to spark a chemical reaction inside themicrobe, prompting it to incorporate CO2 into 3-hydroxypropionic acid, a common industrial acid that's used to make acrylics. With further genetic manipulations, they can also create a P. furiosus variant that produces an array of other useful chemicals, including fuel. And when that biofuel is burned, the researchers note, it releases the same amount of CO2 that was used to create it. That means it's essentially carbon-neutral, making it a cleaner alternative to fossil-based fuels like coal, crude oil and gasoline. "This is an important first step that has great promise as an efficient and cost-effective method of producing fuels," Adams says. "In the future we will refine the process and begin testing it on larger scales." Voith Hydro and RusHydro, one of the largest supplier of hydropower in the world, signed a contract establishing the inception of the joint venture VolgaHydro LLC in Moscow. Each company holds a share of 50 percent of the joint venture. RusHydro will exercise the industrial leadership, Voith Hydro will be responsible for the operational management. Voith Hydro will appoint the Chief Executive Officer (CEO) and RusHydro will announce who will become the Chief Financial Officer (CFO). Any decision over VolgaHydro will be made by RusHydro and Voith Hydro commonly. The headquarters of VolgaHydro will be the city of Balakovo in the Russian Federation. “Having founded this joint venture, Voith strengthens its position in the significant Russian hydropower market sustainably”, says Dr. Roland Münch, Chief Executive Officer of Voith Hydro. VolgaHydro will closely keep in touch with its customers providing excellent know-how and the entire range of expertise. With a technical potential of 424 GW power, the hydromarket in Russia has a bright outlook. By now, only 46 GW of hydropower has been installed. Besides the possibility to build new hydropower plants, the joint venture focuses on extensive modernizations of old hydropower stations. For instance, Voith and RusHydro have already started to renew the plants Miatlinskaya and Saratovskaya. Voith also modernized the technical equipment of the hydropower plant Uglich for RusHydro as a customer. Voith supplied a complete machine set for the plant and, furthermore, equipped Uglich with electrical and mechanical equipment and automation systems. Voith’s commitment in Russia goes back to the year of 1899. In that year, the company delivered the first full-fledged paper machine to the city of Sokol. Today, Voith conducts its business at six locations in the Russian Federation. Generally, the Russian market has high potential in the field of energy, oil, gas, raw materials, logistics and automotive. Voith considers these markets as its key sphere of activity. Proven automation solution and information management helps waste-to-energy plants to maximize performance and operate safely. Metso has been awarded its 5th repeated order from the CNIM group for the automation of another greenfield waste-to-energy plant in Great Blakenham (Suffolk, UK). Metso will supply an extensive Metso DNA automation system and safety system to the new plant. This order comes after similar ones for WtE plant in Turin (Italy), Tallin (Estonia), North Hykeham (Lincolnshire, UK) and Four Ashes (Stafford, UK). Metso DNA provides one system for all process controls and plant information management. The integrated process automation system covers all plant processes from boilers to turbines. High-level reliability is ensured through an integrated, TÛV certified safety solution. 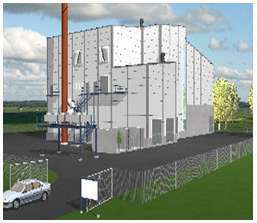 The new Suffolk waste-to-energy plant is owned by the Suffolk County Council and will be operated by Sita Suffolk limited. It will have an electric output of 20 MWe enough to power 30 000 homes and it is designed to handle an annual amount of 269 000 tons of residual waste. The plant is planned to go on line by the end of 2014. The CNIM group acts as a contractor in the Suffolk project. Established in 15 countries, the CNIM Group designs and produces turnkey industrial solutions and offers expert research, expertise and operations services in the fields of environment, energy, defense and industry. The group has 3,000 employees, and its turnover was 665 million euros in 2011. Alfa Laval – a world leader in heat transfer, centrifugal separation and fluid handling – has won an order to supply compact heat exchangers to a gas plant being built in Russia. The order, booked in the Energy & Environment segment, has a value of approximately SEK 60 million and delivery is scheduled to start in 2013 and be finalized in 2014. The Alfa Laval compact heat exchangers will be installed in a new gas plant in the Urengoy gas field in Russia. They will be used for heat recovery in the gas compression process, resulting in an energy-efficient process solution. 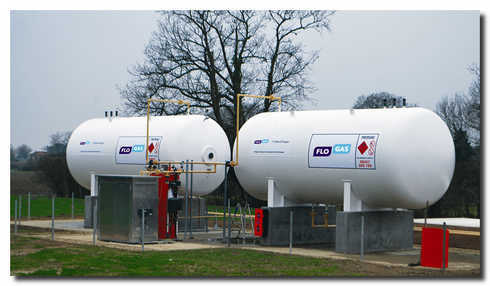 “We continue to see good demand from the gas industry. This is yet another large gas order, within a short period of time, proving our ability to provide reliable and efficient equipment to an industry with very high demands”, says Lars Renström, President and CEO of the Alfa Laval Group. Did you know that… Russia’s five biggest gas companies stand for 90 percent of the country’s total gas production – and that all five are customers to Alfa Laval? Domtar Corporation has announced that it has successfully installed a commercial-scale lignin separation plant at its Plymouth, North Carolina mill, the first U.S. facility of its type in over 25 years. The production of BioChoiceTM lignin began in February, with a targeted rate of 75 tons a day, destined for a wide range of industrial applications as a bio-based alternative to the use of petroleum and other fossil fuels. The successful installation of commercial-scale lignin removal capacity at the Plymouth Mill is the culmination of a research and engineering project launched by Domtar in 2010. This project was further boosted when the U.S. Department of Agriculture and the U.S. Department of Energy awarded the company a grant through the Biomass Research and Development Initiative. Domtar's lignin operation sets a new path for the industry and also marks the latest sustainability milestone for a company that has long been recognized as an industry leader in forest certification and environmental stewardship. "Our vision is to be a global leader in fiber-based innovation," said Bruno Marcoccia, Domtar's director of research and development. "A big part of this is our focus on partnering with best-in class collaborators to develop new products and markets for a wide portfolio of initiatives, like BioChoice." 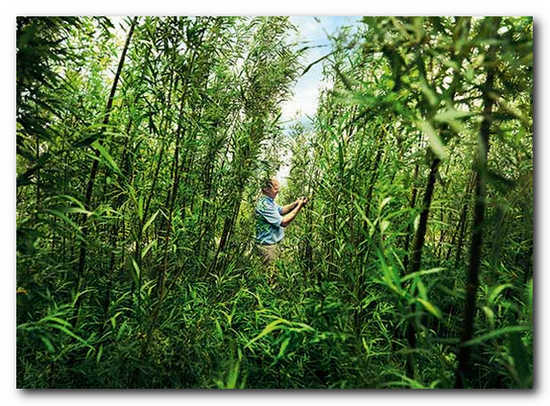 "The possibilities for making a real difference in terms of offering manufacturers a bio-based alternative to the use of petro-chemicals is truly exciting," said Hasan Jameel, a professor in North Carolina State University's Department of Forest Biomaterials. "This is a big win for sustainability on two counts - Domtar improves the efficiency of its pulp-making process, and at the same time the market gets a reliable, high-quality source of this underused material with so much potential." A wide range of potential applications for BioChoice lignin exists, including fuels, resins and thermoplastics. "I'm sure that Vaskiluoto's investment in increasing the use of renewable energy will draw major international attention. Coal powered plants can be made greener, and Vaskiluoto's plant is leading the way," says Jyrki Holmala, President of Metso's Power business line. "Coal boilers still account for the majority of power production in the world. Bio-gasification technology of this scale offers a new, cost-effective option for increasing the share of biomass and, consequently, for significantly decreasing the use of and emissions from coal.
" Later on in the inauguration day, Metso organized a technology seminar in Vaasa, which was attended by some 50 customers from around Europe. A visit to the new gasification plant was also on the agenda. Catalyst Paper has announced that it has agreed, subject to court approval, to sell its approximately 50% interest in Powell River Energy Inc. and Powell River Energy Limited Partnership to Powell River Energy Trust, a Brookfield Renewable Energy affiliate for $33 million. Powell River Energy Trust currently holds the other 50% stake in the Powell River Energy joint venture originally established in 2001. Sergio Guimaraes has been appointed Executive Vice President of Pöyry PLC and President of the Energy Business Group. Sergio will become a Member of Pöyry PLC's Group Executive Committee. He will take over duties on 15 April 2013 and report to Alexis Fries, President and CEO of Pöyry PLC. Sergio Guimaraes joins Pöyry after a 30 year career in Alstom where he assumed a number of management positions within the global hydro business. Ari Asikainen, current EVP, President of Energy Business Group, takes up a new position as Senior Vice President of Business Development reporting to Alexis Fries, President and CEO. He will not be a member the Group Executive Committee. FPInnovations and Natural Resources Canada's CanmetENERGY have signed a memorandum of understanding which will formalize the collaborative efforts of the research teams from both organizations after years of informal cooperation. Speaking at PaperWeek Canada in Montreal, Pierre Lapointe, CEO of FPInnovations, said the agreement will facilitate the delivery of innovative solutions in areas such as energy co-generation, biorefining, and transformation of forest biomass to bio-energy and high value bioproducts. Researchers from both organizations will work together to exchange scientific and technical information and collaborate on joint projects. Natural Resources Canada's CanmetENERGY is is Canada's knowledge centre for scientific expertise on clean energy technologies. It encompasses more than 450 scientists, engineers and technicians, and more than 100 years of experience. FPInnovations is a not-for-profit organization that specializes in the creation of scientific solutions in support of the Canadian forest sector. International technology Group ANDRITZ has received an order from Fortum Värme to supply a circulating fluidized bed boiler for the new Värtaverket combined heat and power plant in Stockholm, Sweden. The biomass boiler plant will be one of the largest of its kind worldwide. Start-up is scheduled for the third quarter of 2015. The order includes the supply of a PowerFluid fluidized bed boiler with useful heat output of 330 MW, a flue gas cleaning plant, as well as the electrical and control systems. With the new plant from ANDRITZ Energy & Environment, which will cover the rising demand for district heating in Stockholm, fossil-based fuels like coal and oil can be replaced largely with eco-friendly biomass. When the biomass boiler plant is started up, the proportion of renewable fuels used at the Värtaverket power station will increase from 45% to 70%. The heating generated in the new Värtaverket combined heat and power plant will be equivalent to the demand from a total of 190,000 households. Current investments by Fortum Värme make a substantial contribution towards placing Stockholm among the leading capital cities worldwide in terms of air quality. Fortum Värme’s goal is to supply Stockholm entirely with climate-neutral heat by 2030. Metso will supply a biomass-fired heating plant for district heat production to Savon Voima Oyj in Leppävirta in Finland. Following the investment, the municipality of Leppävirta will have access to more district heat generated using renewable fuels, in accordance with Savon Voima's bioenergy program. The new heating plant will significantly reduce the consumption of oil. The plant will go on stream in late 2013. The value of the order is approximately EUR 9 million. Metso's turnkey delivery will include process equipment and buildings as well as installation and construction work. The delivery will also include Metso's flue gas scrubber. Once completed, the plant will have a heat output of 8 MW and it will produce hot water for the district heating network of the municipality of Leppävirta. The plant will be fired by wood-based biomass sourced locally, such as forest residue and peat. "We chose Metso as the supplier of our new plant because we have a long history of successful cooperation with Metso during previous plant deliveries, the latest of which was the delivery of a plant of the same size to Suonenjoki. Metso's solution also offered the best overall economy," says Savon Voima's Project Manager Hannu Lipsanen. "We want to be a reliable partner in advancing Savon Voima's sustainable projects that use domestic fuel. The Leppävirta project is very important for us. We will supply a plant which will reduce the use of fossil fuels and provide an energy efficient solution for district heat production," confirms Teemu Koskela, in charge of the sales of bioheat plants at Metso. Savon Voima Oyj is a Finnish energy company that provides and markets electricity and heating services. With sales totalling more than EUR 211 million (2011), the company is one of Finland's largest providers of energy services. Savon Voima is also a significant employer within the energy sector, and has a staff of approximately 170 professionals. Years of systematic investments in emission-free energy production have raised the proportion of bioenergy in heat generation to over 80 percent.